Modern society won't always let you be the things that you want to be, especially if your dreams are a little bit left of the dial. When your dream is to become one of Emperor Palpatine's most devoted soldiers, society tries to tell you that you can't do that. They try to force you to go to an office and wear a monkey suit, instead of letting you go on intense missions to hunt down Rebel scum. We're tired of that, which is why we think it's time to put an end to that! It's time to break free of the modern bonds of society. It's time to proudly wear your allegiance to the Galactic Empire with a suit that sneers in the face most common, every day kind of business suits! 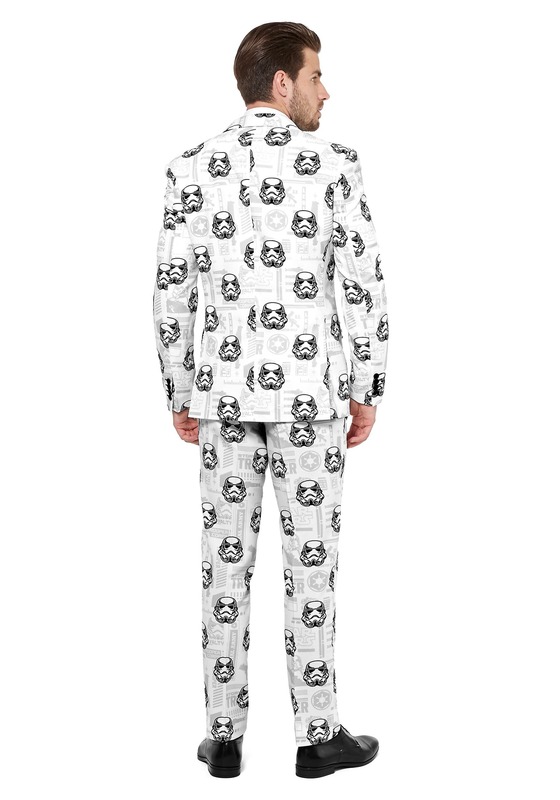 It's time for this Stormtrooper Opposuit. Now, you can assume the role of Galactic Empire supporter, even when you're forced to wear a suit. This Star Wars themed Opposuit has the Empire's finest plastered all over the front, making your allegiance loud and clear. The set includes a jacket, with matching pants and neck tie. It might not be a combat-ready suit of plasteel armor, but it let's Vader and old Palpatine know that you have their back. 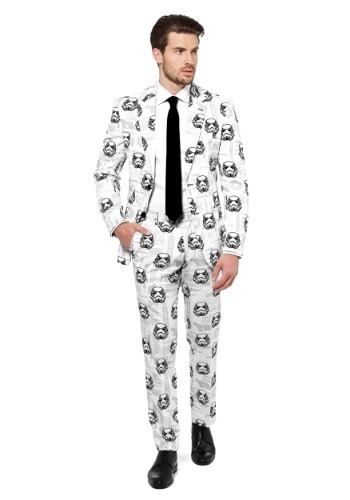 However, wear this suit to Rebel Alliance functions at your own risk. We can only imagine the uproar this kind of outfit might cause if you wore it to a fancy gala at Yavin 4.